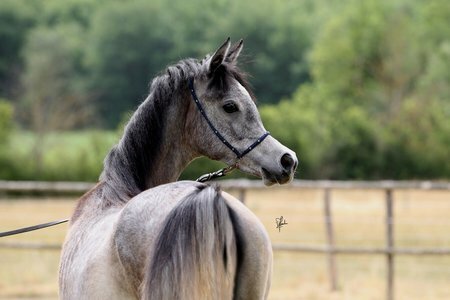 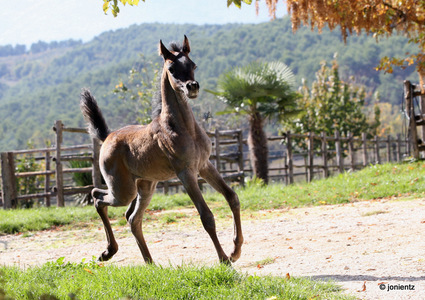 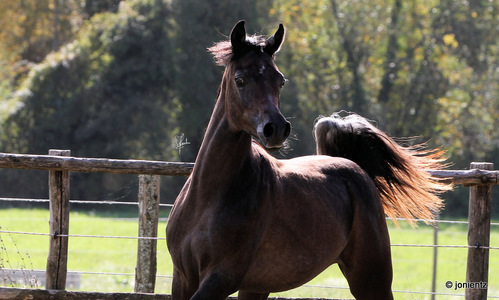 Anybody who is breeding Arabian horses also takes part in the breeders’ collective responsibility for their selection and their breeding history. 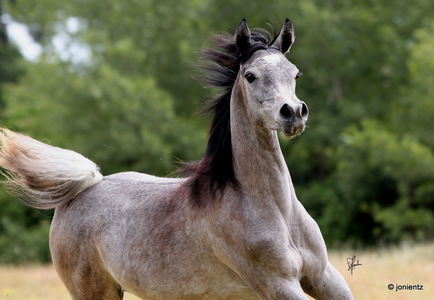 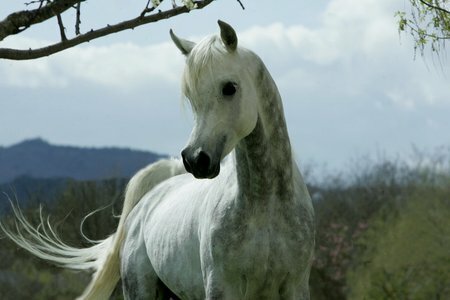 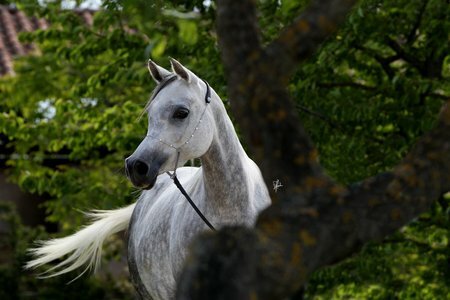 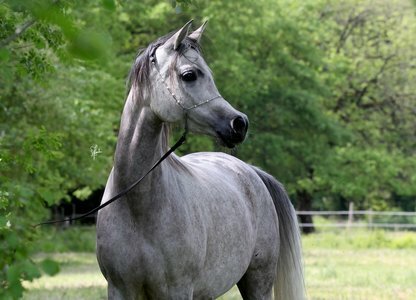 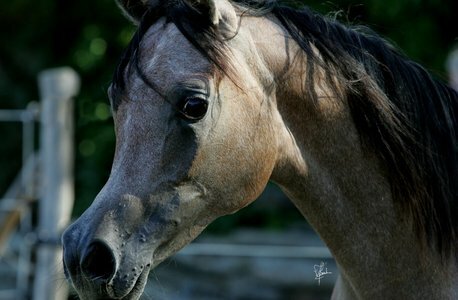 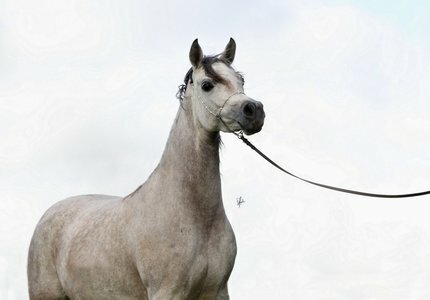 Arabian horses are special – in their history, their beauty, their proud noblesse, their movements, but also their sweet character, their intelligence, and their reliability. 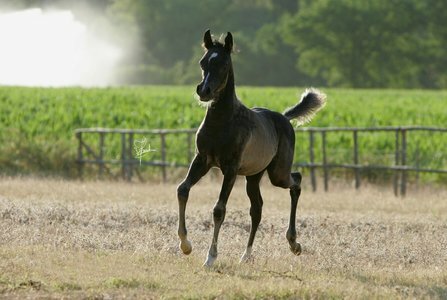 Breeding Arabian horses just takes time. 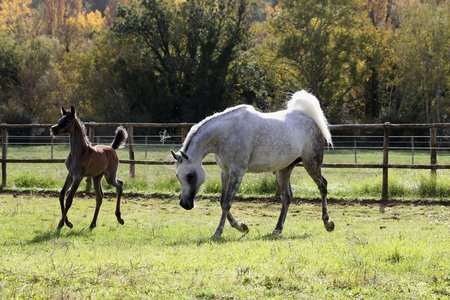 It will be years until a breeder can reap the fruit of his experiences: Good horse breeding is firmly rooted in its rural surroundings and still takes its essence from country and farming traditions, from the love for nature, from lots of manual work, and from a maximum of freedom for the horses, which is the basis for their mental and physical health. 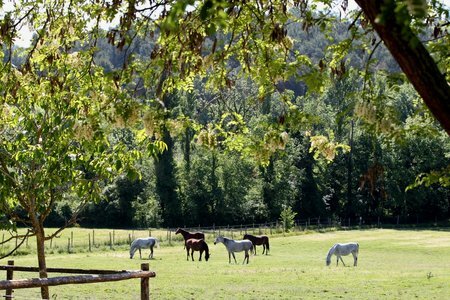 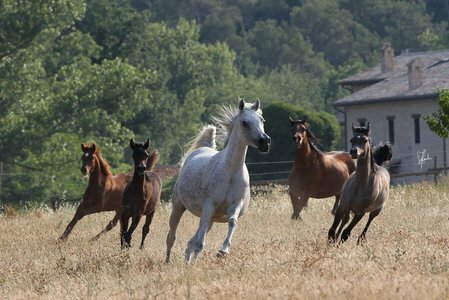 Tre Balzane Stud was founded almost 30 years ago in the Umbria Region of Central Italy, Here, horse breeding is done the traditional way and when it yields successes, they are not just accidental. 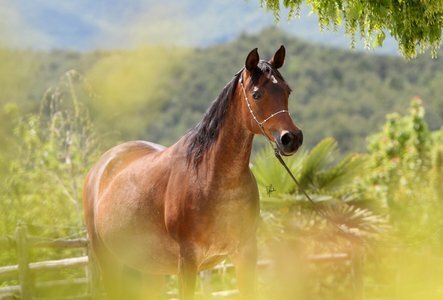 We take responsibility for our horses, as we have learned that whatever we give to them, they will return: only a happy horse is a beautiful horse.